We are proud of the quality of our frozen mice. Frozen mice are a great diet for many snakes, lizards, amphibians and many other pets. They are available in a variety of different quantities from packs of 10 to large bulk quantities of 500. 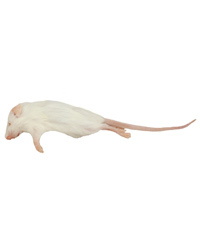 All our frozen mice are packed into a polystyrene box complete with cold packs to keep the items cold during delivery. As with all frozen food the exact weight of the package and individual mice can vary.